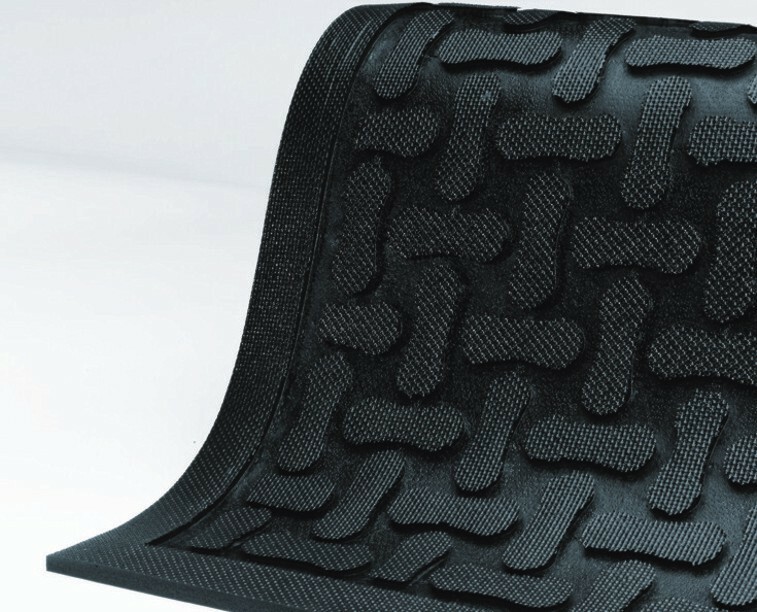 Comfort Scrape has a non-draining surface, yet is light weight and flexible for easy handeling and cleaning. 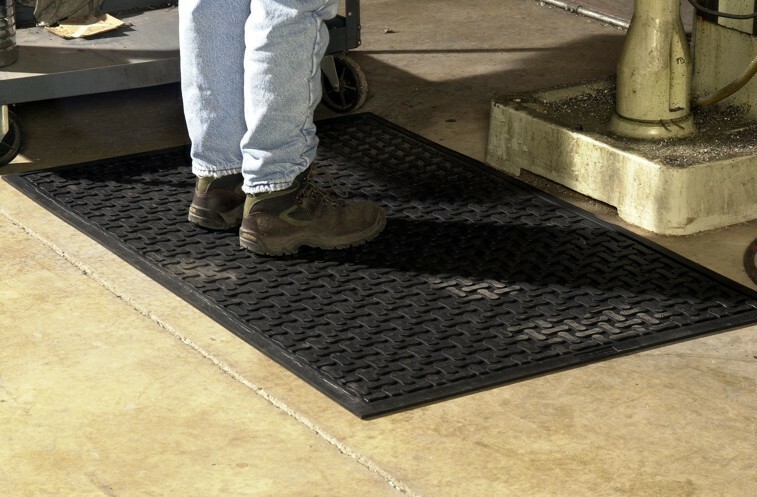 This mat is welding safe as well as being static dissipative. 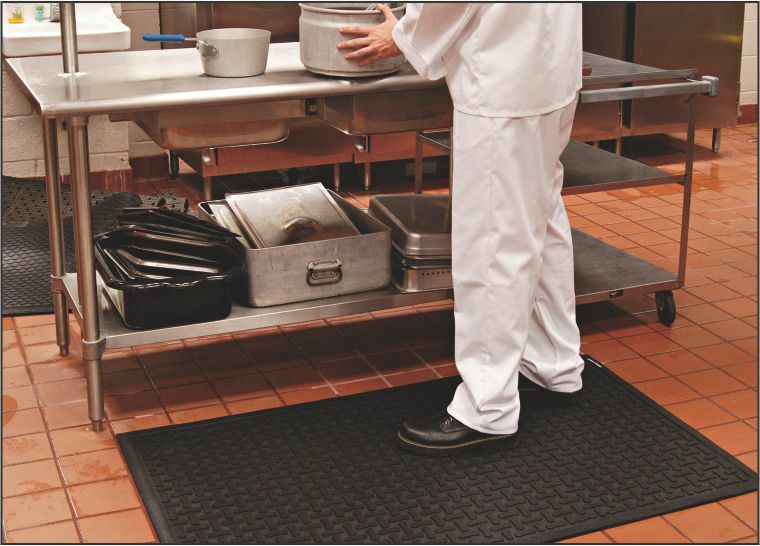 It is grease and oil proof and chemical resistant. 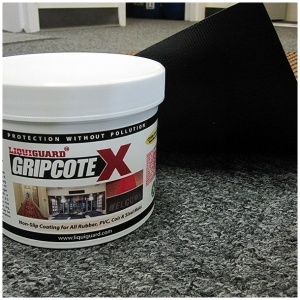 It is recommended for kitchen and industrial applications.